With the internet now an essential part of most people’s daily lives, the router that’s at the heart of every home’s connectivity has become increasingly important. And while we all reap the benefits of that access, it’s often easy to overlook the aspects that could negatively affect your family and home if left unmonitored and unprotected. With threats like malicious attacks (such as malware, botware, cryptojacking and more) and content or activities that are particularly unsafe for children (not to mention rising problems such as screen and video game addiction), router-makers have started to integrate more sophisticated tools to let households deal with these issues. 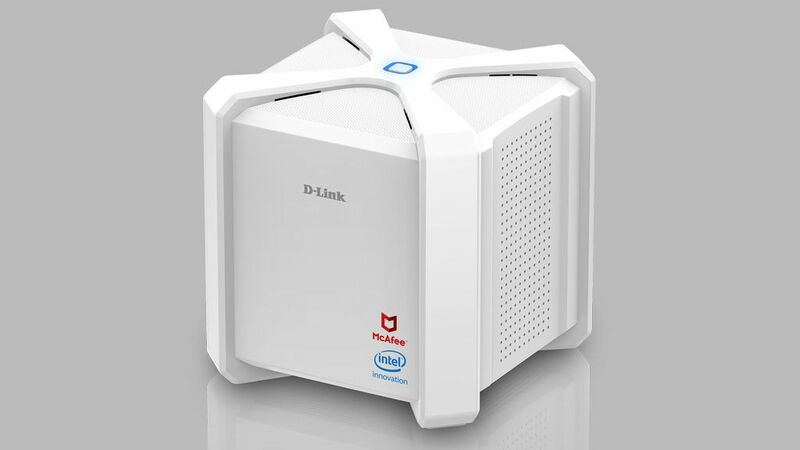 D-Link is the latest to turn its attention towards better home-network protection and has teamed up with the antivirus mavens at McAfee, to launch the new D-Fend AC2600 router in Australia and New Zealand. D-Link claims the 802.11ac Wi-Fi device has the capability to protect every device on your network, while also providing comprehensive parental controls. Using the router’s dedicated D-Fend app, which is available on Android and iOS, parents and home owners will be able to create personalised user profiles for each member of the household, setting individual controls over blocked websites and categories, age-appropriate content, pausing the internet entirely, setting time limits on internet usage, and even the ability to approve or deny user-submitted requests to visit specific sites. The D-Fend can also be set up to notify the owner whenever an outside source tries to connect to the network, ensuring that the family home remains safe from hackers and other malicious attackers. As an added bit of convenience, the router can be voice-controlled via Amazon Alexa – although parents will want to register their voices to prevent clever children from setting their own internet usage rules. Each device connected to the network will be protected by the McAfee Secure Home Platform, which is included as a complimentary service for five years – a subscription valued at around $600. Two years worth of access to McAfee’s LiveSafe internet security software for computers, smartphones and tablets is also bundled with the router for free. The D-Link D-Fend AC2600 is priced at $499.95 (NZ$599.99) and is now available from D-Link’s Australian and New Zealand websites and authorised resellers, as well as through JB Hi-Fi.